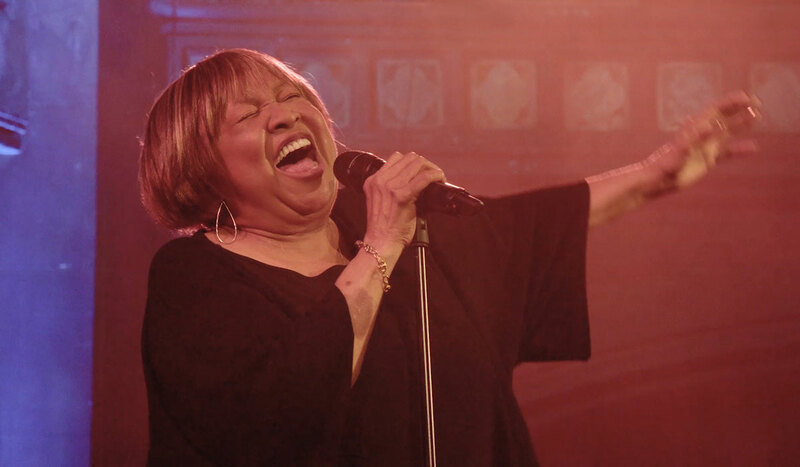 The Amplify Decatur Music Festival returns to the downtown square Saturday, April 13, 2019 with a line-up featuring Rock & Roll Hall of Famer Mavis Staples and two-time Grammy award winner Jeff Tweedy of Wilco. The lineup also includes the critically acclaimed songwriter Julien Baker, Kevn Kinney of Drivin N Cryin, and the Atlanta-based jam-rock band The Bitteroots. Doors open at 3:30 p.m., and the show will close at 11 p.m.
Tickets are available at AmplifyDecatur.org and through Eventbrite.com. General Admission tickets are $45. VIP tickets (quantity limited) are $149.50 and include preferred seating (behind Premium seats), a dedicated bar, four complimentary beer or wine beverages, and dedicated VIP bathrooms. And new this year, Premium seating will be $249.50, and will include seating directly in front of the stage, access to the VIP bathrooms, unlimited beer and wine, and drink service (during intermissions)—and additional benefits to be determined. Only 100 Premium tickets will be sold. All funds raised—including ticket sales—at the fourth annual outdoor music festival will be directed to Decatur Cooperative Ministry (DCM) to support its efforts to prevent and alleviate homelessness in Decatur and DeKalb County. To date, Amplify Decatur has raised $190,000 for DCM. The concert series is presented by Decatur-based marketing agency Lenz and produced in partnership with the Decatur music venue Eddie’s Attic. Christine Mahin, accounts and operations director at Lenz, will again serve as festival director. Amplify Decatur will also feature shows at Eddie’s Attic, Friday, April 12, Saturday, April 13, and Sunday, April 14, with artists to be announced soon. 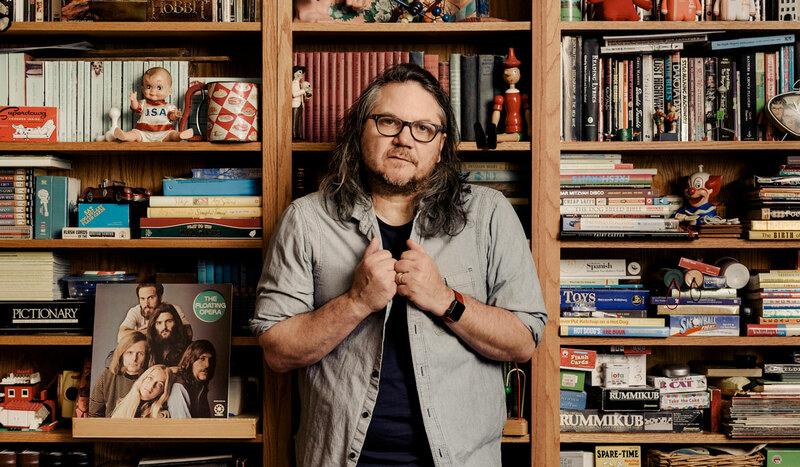 Jeff Tweedy is the co-founder of Uncle Tupelo, founder and leader of Wilco, and a two-time Grammy Award winner. He recently released a solo record titled “WARM” and the memoir, “Let’s Go (So We Can Get Back).” “WARM” was produced and recorded entirely by Tweedy at Chicago’s now legendary studio, The Loft (with help from some of his usual collaborators – Spencer Tweedy, Glenn Kotche, and Tom Schick). In “Let’s Go (So We Can Get Back),” Jeff writes candidly and compellingly about his past, his songs, and the people who have inspired him. It’s a portrait of an artist in his most reflective and creative state. 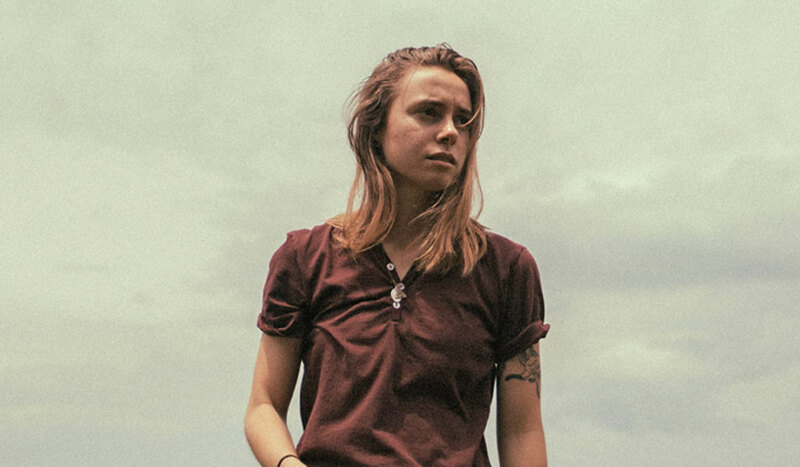 At only twenty-three years old, Julien Baker has received national attention with her emotive and haunting lyrics and vocals. The Memphis-based singer/guitarist released her second album, Turn Out The Lights, to critical acclaim in 2017. Originally from Memphis, Tennessee, Baker also co-founded the supergroup, “boygenius,” with Lucy Dacus and Phoebe Bridges in 2018. 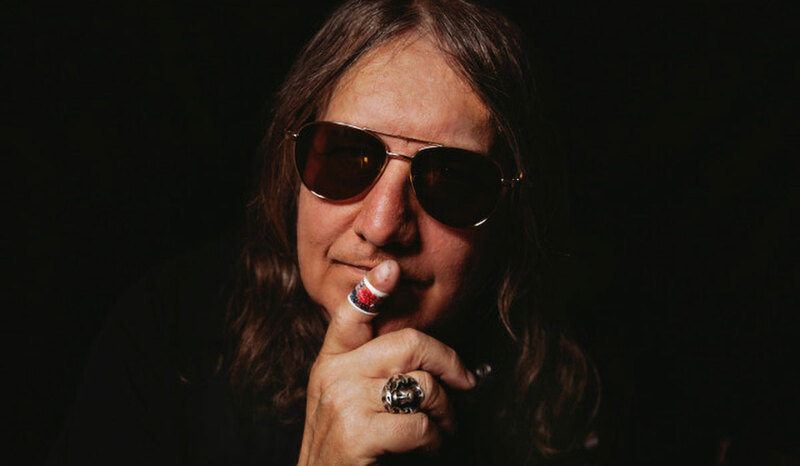 Kevn Kinney is the lead singer-songwriter of the Atlanta rock band, Drivin N Cryin, which has a gold record, 10 full-length albums, and a spot in the Georgia Music Hall of Fame to its credit. Since the band’s 1985 inception, he’s also released several solo acoustic albums, including 1990’s “MacDougal Blues,” produced by R.E.M.’s Peter Buck for Island Records. Darius Rucker cut Kinney’s song, “Straight To Hell,” on his album “When Was The Last Time.” The Drivin N Cryin song was a major hit on their acclaimed album, “Mystery Road,” originally released in 1989. The documentary film “Scarred But Smarter: Life N Times of Drivin N Cryin” was released in 2012. 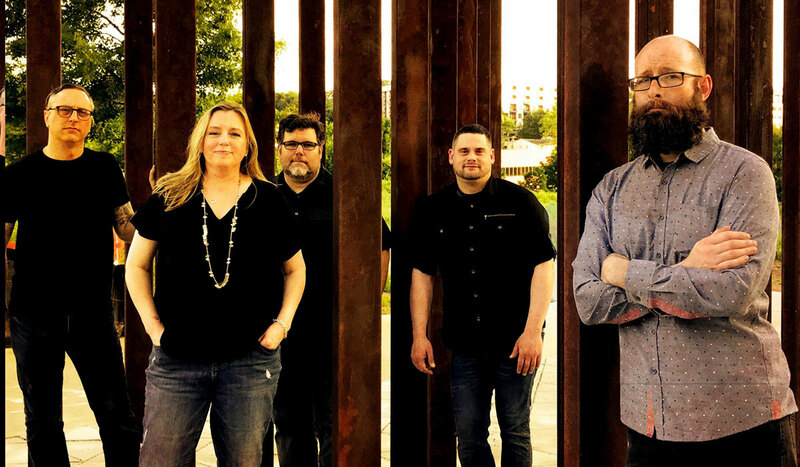 The Bitteroots are an Atlanta-based, jam-rock band that draws comparisons to the Tedeschi-Trucks Band, Melissa Etheridge, and Janis Joplin. The band has released four albums of original music, most recently, “Under The Big Sky” in 2014. Since Amplify My Community was founded in 2010, it has raised and donated more than $300,000 to address local homelessness and poverty issues, including $190,000 to Decatur Cooperative Ministry. 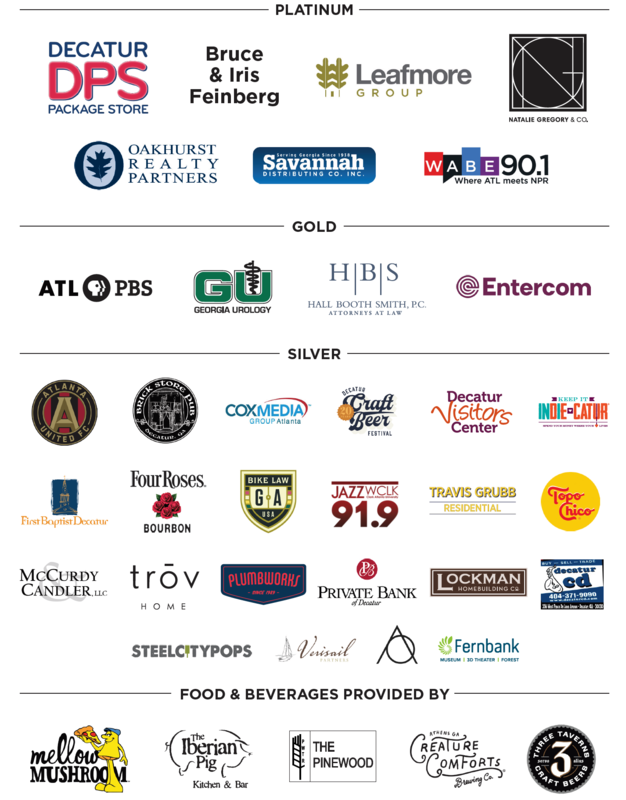 Amplify My Community is grateful for the support of the City of Decatur, as well as: Leafmore Group, Decatur Package Store, and the Feinberg family. The mission of Decatur Cooperative Ministry is to help families facing homelessness settle into safe, stable homes and build healthy lives filled with peace, hope, and opportunity. DecaturCooperativeMinistry.org. Amplify My Community was founded in 2010 and is based in Decatur, Georgia. Its mission is to leverage the universal love of music to fight poverty at the local level. To date, Amplify has produced more than 65 concerts and raised and donated more than $300,000 in unrestricted gifts to locally oriented anti-homelessness and poverty-focused organizations — including more than $190,000 in Decatur. Amplify has held concert series in Atlanta, Athens, Decatur, Suwanee, and Duluth, Georgia; Asheville and Charlotte, North Carolina; Nashville, Tennessee; and Charlottesville, Virginia. What is the Amplify Decatur Music Festival? How do I purchase and receive my tickets? Several options are available for receiving your tickets. We recommend you print them at home or have them sent to your mobile device, which you will present at the Festival for entry. For online purchase, tickets will be on sale until 2p.m. on the day of the Festival. After 2 p.m., tickets can be purchased at the box office on site if available. Patrons will be given a wristband when they check-in permitting them to enter and exit the festival as many times as needed. All of Decatur’s incredible bars and restaurants are available to patrons to enjoy. What are the hours/show times for this year’s festival? Will there be food and beverage for sale? Beer provided by Creature Comforts Brewing Co. and Three Taverns Craft Brewery. Food provided by several of Decatur’s local restaurants including The Pinewood, Mellow Mushroom, and The Iberian Pig. How should I get to the festival? Parking is limited! We strongly recommend taking MARTA to the Decatur stop on the East/West line. All major roads will be open and services such as Uber and Lyft are also smart options and can get you close to the festival gates. Amplify will provide a staffed bike valet on-site sponsored by Bike Law Georgia. Ride your bike to North McDonough Street and entrust your bike to the valets; they’ll have it ready for you to ride home when you’re ready to leave! 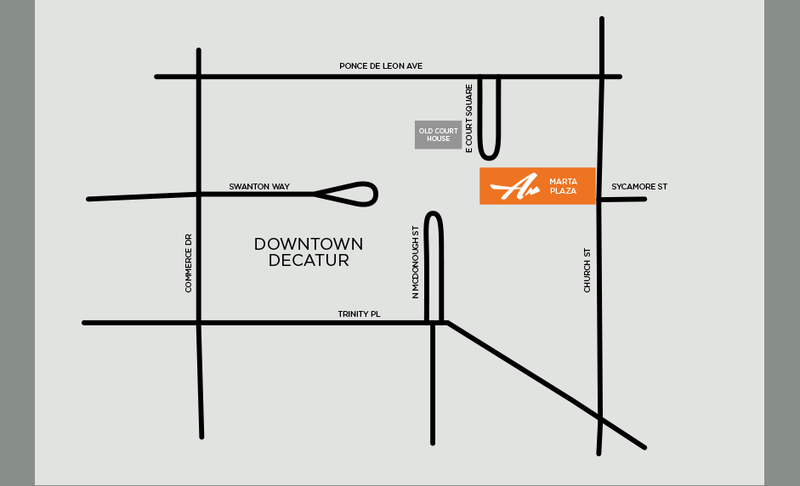 Several parking decks and surface lots are available in downtown Decatur. You can find a guide to parking here. Who does Amplify Decatur raise money for? Amplify Decatur will celebrate the remarkable work being done to alleviate homelessness in Decatur and DeKalb County by our neighbors, Decatur Cooperative Ministry, who every year helps thousands of families and veterans avoid the pitfalls of living on the streets. Since 2011, Amplify has raised over $190,000 to support their work. Are children allowed and do they need a ticket? Children are allowed, and kids 8 and under get in free. Children must be accompanied by an adult, and no more than two children per adult are permitted. Please be advised this is an outdoor event with alcohol sales, and we do not recommend bringing children under 8. Can I bring a camera, chairs, blankets, or strollers? Cameras are allowed only if they DO NOT have interchangeable lenses. Please be courteous with the use of smart phones for photos and videos during the show. One chair per attendee is permitted. 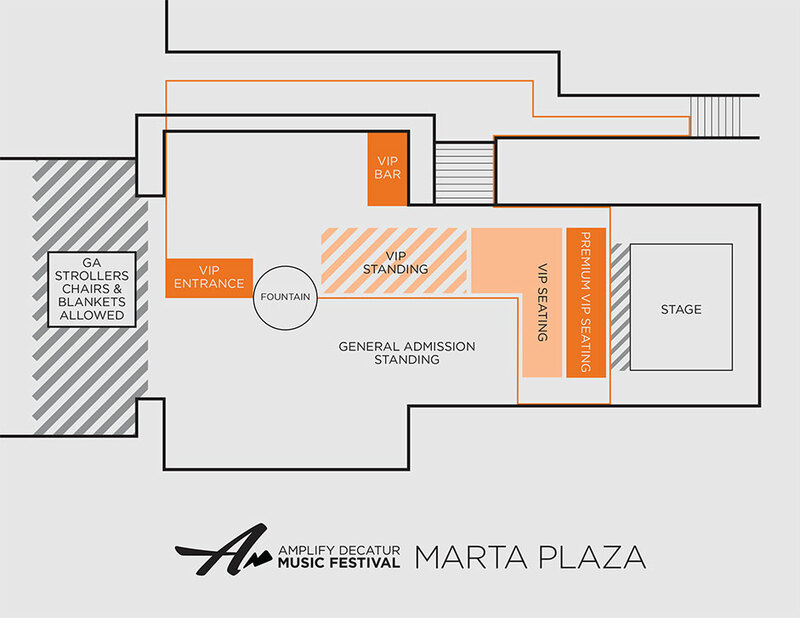 Chairs must remain in the dedicated area in the back of the General Admission section (see map on homepage). Strollers and blankets are also allowed in the designated area (see map on homepage). Yes, you can purchase Amplify t-shirts, commemorative festival t-shirts, hats, and artist merchandise during the festival. NO bicycles, scooters, go carts, or ATVs inside the gates. Will there be security and medical staff? YES. Decatur and DeKalb police will be manning the event. Any patron wishing to drink alcohol must show valid ID and will receive a special wristband. Anyone caught consuming alcohol without a wristband will be asked to leave the premises. UNDERAGE DRINKING WILL NOT BE TOLERATED. The City of Decatur fire department will be onsite for first aid needs. The Amplify Decatur Music Festival is a rain or shine event. In the event of inclement weather, we will work with the Fire Marshall and City of Decatur officials to ensure safety of all patrons. Our lawyers want us to let you know that you, the ticket user bears all risks, including cancellation of the event and of inclement weather. This means no refunds. Tickets and more information are available at EddiesAttic.com. Who is Amplify My Community? Amplify My Community is the Decatur-based 501(c)(3) that hosts music concerts to raise money and awareness for locally-acting nonprofits all over the South fighting to alleviate homelessness and poverty. Formed in 2011, Amplify concerts have raised over $300,000 and over $190,000 in Decatur alone to help our neighbors who need it most. I see Eddie’s Attic on the poster, is this at Eddie’s? The April 13 outdoor festival will be held on the Downtown Decatur Square–not at Eddie’s Attic. However, there will also be Amplify Decatur concerts at Eddie’s Attic throughout the weekend of April 12-14.